Ask a Scarsdale student whether they know the difference between parallel first and parallel second position—thanks to a modern dance unit in gym class, some might not only know the answer but will also enthusiastically demonstrate it for you. With funding from district money set aside for arts education, PE Department Chair Nicole Roemer and PE Teacher Maggie Bryant proposed a modern dance unit near the beginning of the school year. “We’re really interested in trying to expand our physical education program to all kinds of kids. Kids who like aesthetic movement, kids who like more competitive kinds of activities, kids who like more outdoors kinds of activities. And we thought it’d be really nice to at least introduce our students to some type of dance,” explained Bryant. The pilot program gave thirteen junior and senior PE classes the opportunity to learn under leadership from members of the Alvin Ailey American Dance Theater. The famed modern dance company was founded in 1958 by Alvin Ailey, a visionary choreographer and dancer who helped popularize and revolutionize modern dance. Roemer and Bryant chose to work with Alvin Ailey for their style of dance, the Horton technique. “We chose the Horton technique because it’s angular; it speaks a little bit more to teenagers. It’s a lot of fun and it’s very physical,” said Bryant. For four weeks, students, including a few who came from other sections to join the dance unit, spent their gym classes shoes-off, stretching, and rehearsing a dance routine under the instruction of several Alvin Ailey instructors, including teaching artist Theara Ward. A professional dancer of forty-one years, Ward is currently a part of Alvin Ailey’s Arts in Education program. In addition to performing and choreographing, Ward teaches modern dance at schools and community events. “This is the first time I’ve been to Scarsdale to teach, and I’m having fun. The students seem to be enjoying it. One of the interesting things about this student population is that they’re so intellectual, so we’re working on helping people to get from their head to their body… to get movement in their body,” commented Ward on the students’ developing abilities halfway through the dance unit. Despite varying levels of experience in dance, most students seemed to enjoy the special opportunity. “I did ballet when I was very young. I was kind of surprised because I didn’t expect to do dance in gym class, but I thought it was cool that we did something new we had never done before and that they brought in experts for a new experience. It was cool to see the similarities between this and ballet,” said Nayumi Parente ’19. Even those who were less receptive to dance felt that they still took away some new understanding. “The Alvin Ailey instructors were very knowledgeable and engaging. 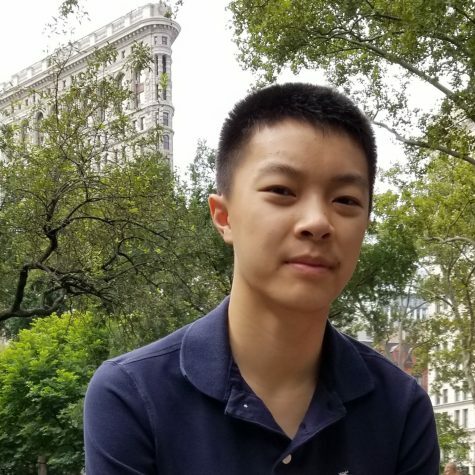 I feel I now have a strong sense of balance and dancing movements, but unfortunately, dancing is not of great interest to me,” said Charles Lau ’20. Some students in the dance unit also took a field trip to an Alvin Ailey performance in the city. 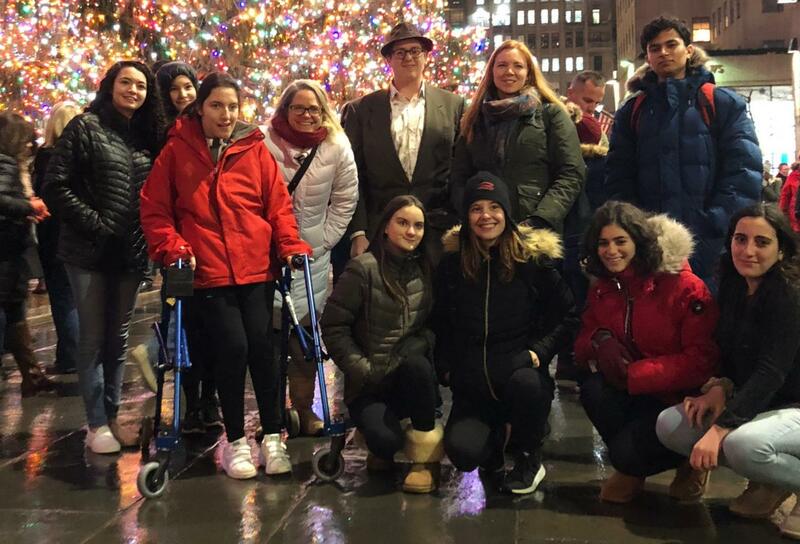 Halfway through the four week period in December, ten juniors and seniors, accompanied by Bryant and Roemer, left for the city. Their first stops were to Rockefeller Center and the seasonal giant Christmas tree. The group then enjoyed dinner at McGee’s Irish Pub and Restaurant. 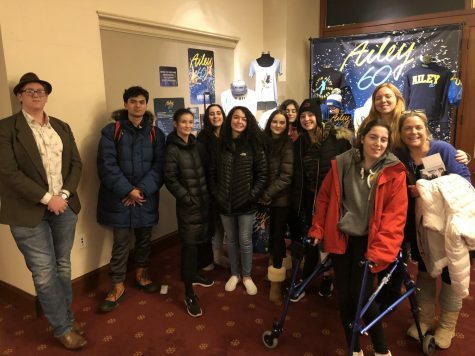 Finally, they bussed to the New York City Center to see a 60th anniversary show by Alvin Ailey. All three movements of the performance—Memoria, Masekela Language, and Revelations—were choreographed by Ailey and proved captivating to the audience. “We actually disagreed on which [movement] was our favorite, but I liked the first one because they had a lot of very cool costumes. And there was a main female dancer who was center of the story. She died and then she was going to heaven, it was like her journey through that. It was really cool how they used all the bodies on the stage to create pictures, and she was just amazing. We were all amazed at everything. It was captivating, we couldn’t stop looking at it. We really loved it,” recounted Jessica Byers ’20. Byers is also a second year member of the Scarsdale Dance Company and Ballroom Team. Founded in early 2018 by competitive dancer Vlad Asriev ’20, Scarsdale Dance Company centers on modern dance, while ballroom is focusing on merengue, salsa, and tango. Both are coached by Bryant, who has extensive background in dance. The passionate club of amateurs and experienced dancers hopes to grow in the future. “We don’t really have an area… We kind of have to juggle around using the cheerleaders [practice room] and the wrestling room. But there’s definitely a growing interest in dance and we hope that one day we get a dance studio. We actually did get dance bars that the school purchased. It keeps growing,” noted Byers. At the culmination of the PE dance unit, PE sections in each period were invited to watch a performance by the dance class. Each of the thirteen classes worked creatively in choreographing a unique routine, with some even bringing in their own music tracks. All performances were filmed, and although the recordings are not public, they can still be viewed by contacting or visiting Roemer. Although the dance program has ended, the gym teachers hopes that the unit helped students gain a better understanding of dancing and heightened confidence in their abilities. “I think that there’s a dancer in all of us, just like I think there’s an athlete in all of us, and sometimes I think we just need those opportunities and those forums that might not have been available to us to help bring out that dancer or that athlete or that mover. I think we need those forums and those opportunities, and once we have them and we let go a little bit, we sometimes discover talents that we never thought we had, or even desires or interests that we never knew we had,” said Bryant. Dance Company and Ballroom Team meet 1-2 times a week. Contact [email protected] for details. Beautiful job. David! Thank you for highlighting both the dance unit for our Juniors and Seniors and the Modern and Ballroom Teams! On behalf of our Juniors, Seniors, and our Modern and Ballroom teams, we thank you very much for this wonderful article.